We would like to thank everyone who attended the 2nd annual Rachel's Rainbow, in support of leukemia research at SickKids. Rachel had a great time - and we hope you did too! With your help, we were able to once again raise over $10,000! 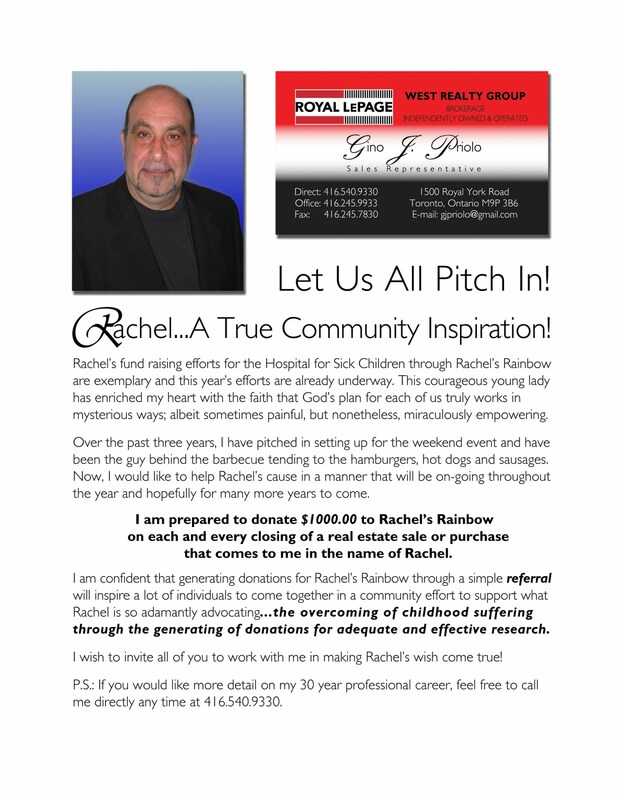 Together, we have made a difference for all children fighting cancer...bringing us one step closer to Rachel's dream. We couldn't have done it without your support!